Rep. Trey Gowdy (R-S.C.), who heads the House Select Committee on Benghazi panel, said Clinton had not provided a single new document and had wiped her server clean, reported Reuters. "We learned today, from her attorney, Secretary Clinton unilaterally decided to wipe her server clean and permanently delete all emails from her personal server," Gowdy said in a statement. 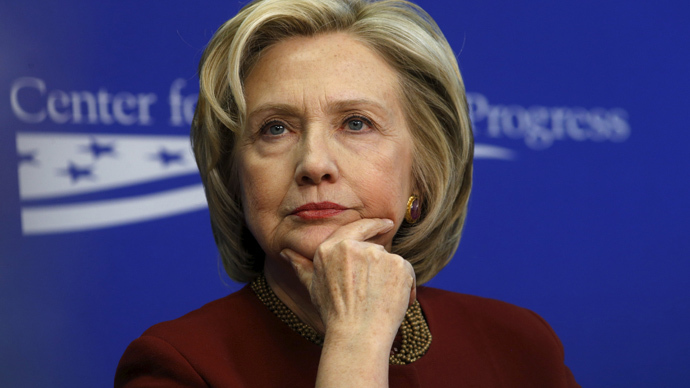 However, Clinton said she has given copies of all work-related emails to the State Department. The State Department said it had already given Gowdy's committee all the relevant emails – some 300 – about the attack on the US diplomatic compound in Benghazi, Libya. The attacks on September 11, 2012 led to the death of the US Ambassador to Libya, J. Christopher Stevens, and a foreign service officer, while a later attack led to the deaths of two CIA contractors. Ten others were injured. Members of Gowdy's committee said they need to see all of Clinton's emails, including those she did not give to the State Department. Gowdy said the committee will speak to Clinton about the emails and the server. The development is the latest wrinkle in the press and government's scrutiny over Clinton's use of a personal email address to conduct government business. There is concern that her email account was not as secure as the State Department's network, leaving her correspondence vulnerable to hackers and foreign nations. Responding to the criticism, a top Democrat on the committee, Rep. Elijah Cummings (D-Md. ), said the letter from Clinton's lawyer confirmed she had turned over all relevant emails. "It is time for the Committee to stop this political charade and instead make these documents public and schedule Secretary Clinton's public testimony now," Cummings said in a statement, according to Reuters. "Clinton has told the committee and the State Department that she would like all her emails made public as soon as possible and welcomes the opportunity to appear before the House panel," Clinton spokesman Nick Merrill said in a statement.